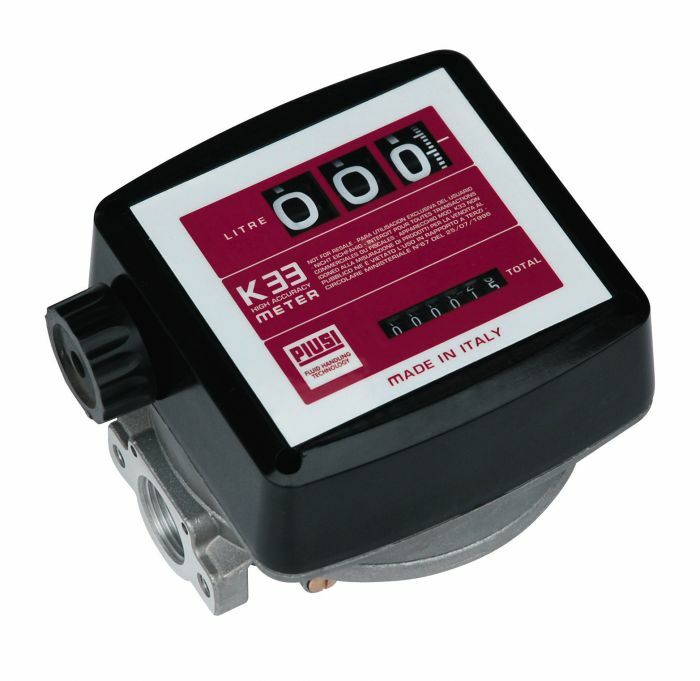 K33 Diesel Flow Meters work with a variety of different liquids and are nutating disk meters that measure the exact quantity of the dispensed fuel or lubricant. They are designed for non-commercial use only. These flow-meters are reliable, inexpensive, easy to install and simple to calibrate on the workplace. The Pulse Meter model is fitted with a pulse emitter for connection to a fuel management system. Thanks to reduced flow resistance, they can also function by gravity.